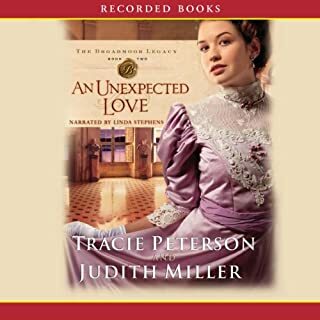 In Tracie Peterson and Judith Miller's compelling tale of duplicity, romance, and redemption, Sophie Broadmoor risks losing wealth and reputation when she's swept off her feet by a dashing stranger. On an 1897 Atlantic crossing, Sophie meets a widower whose promises make her heart sing. But when she finds herself in a compromising situation, she's glad a true gentleman comes to her rescue. Would you listen to An Unexpected Love again? Why? Probably not, but that is ONLY because I have so many, many other books I want to get through before I die. 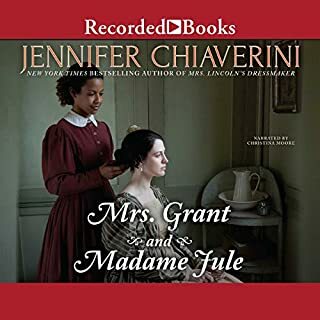 I thoroughly enjoyed listening to this book, and laughed out loud several times. What was one of the most memorable moments of An Unexpected Love? When Sophie realized what "love" really is. What does Linda Stephens bring to the story that you wouldn’t experience if you just read the book? Linda's narration was wonderful, as I was able to recognize voices of characters before they were identified. Although, I started realizing about half way through "Part 1" that the "s" sound was dropped off at the end of sentences, if the word should have ended with and "s" sound. It doesn't occur with in a sentence, though, so I wonder if it was the recording? It "distracted" me for the rest of the book, as I found myself "finishing" those words in my mind, but I still enjoyed her deliverance. What would have made The Journey better? I "thought" it was going to be a good Amish love story.The narrator removed my interest in it. What didn’t you like about Jaimee Draper’s performance? Jaimee made ALL of the characters sound like "teens with an attitude". If you could play editor, what scene or scenes would you have cut from The Journey? I didn't get far enough into it to be able to make that decision. 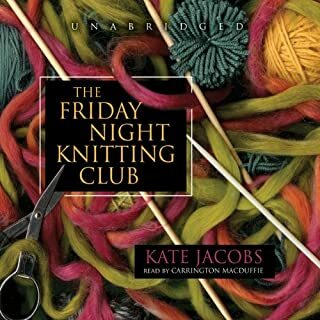 What disappointed you about The Friday Night Knitting Club? The beginning was so "dragged out" that I couldn't finish the book. Don't know at this time. When I came to a stopping place, I didn't feel an "urgency" to go back to it. It couldn't hold my interest.